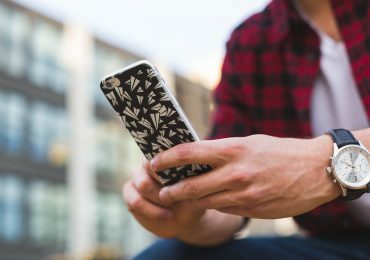 Being a technical person, we always fancy to buy and actually have the latest and new phones, tablets, laptops, computers, and even all other things that we can buy and add to accessorize our gadgets. 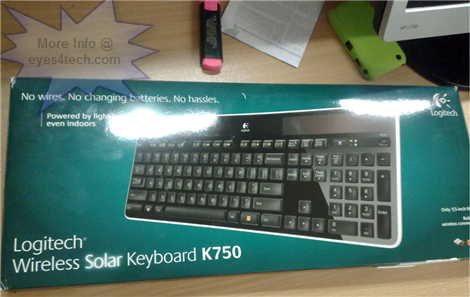 Like this Logitech Wireless Solar Keyboard K750 that our colleague have shown us last week. He finally received his solar keyboard from which he ordered online. By the way colleague of mine is also the owner of the web hosting company where my website is currently hosted. Well, about that solar keyboard. He gave us the opportunity to unbox his Logitech Wireless Solar Keyboard K750 to test and review if it is worth all the money he spent. And so it began! Let us now unbox and take a look what’s so special with this wireless solar keyboard. At first glance it does look like a regular keyboard from afar but then then when I looked at little closer it resemble my old Casio Solar Scientific Calculator back in college days with some more extra keys – just kidding. Anyway, you may see this as a regular QWERTY black keyboard with two rectangular solar panels above the keys. Of course, it goes by the name “wireless” so it’s self-explanatory that this keyboard is cordless and best of all since it is a solar-powered keyboard there’s no need to put batteries for it to work. I want to emphasize the power of this solar panels charging the Logitech wireless keyboard, you don’t have to go out just to capture all the sun rays to charge your keyboard. The solar panels can be charged when hit by any source of light (outdoor/indoor lighting) and best of all your keyboard can last at least three (3) months in total darkness. To ensure that you’re solar keyboard is getting the appropriate lighting when charging, there’s an indicator on the upper-right part of the keyboard. It goes green when the light is adequate to charge your keyboard otherwise it goes red. Unlike your regular keyboard, this solar powered Logitech wireless keyboard can be turned off when not in used through a switch. The keyboard’s dimension is 7.9 x 1.4 x 19.1 inches and weighs 2lbs. How far can you work with your wireless keyboard? This Logitech Wireless Solar Keyboard K750 sports Logitech’s Advanced 2.4 GHz wireless so you can have complete control of your computer where ever you are inside your house. We actually did test this and we were able to send keystrokes to the computer with a range of at least five meters – well who would do that anyway? 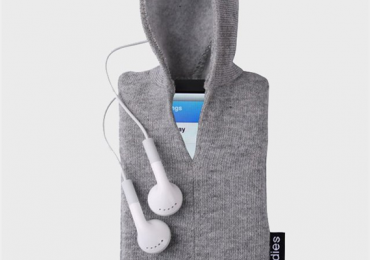 How does it work with your computer when it is cordless? This keyboard includes a small or tiny USB Unifying receiver. You just need to plug it into your computer, then that’s it! There’s no need to install anything – plug-n-play setup. The only drawback? Well, the Logitech Wireless Solar Keyboard K750 version is compatible only with Windows-based laptop and desktop computers. For most of the desktop computer users they wouldn’t even bother to spend more not even for the sake of comfortableness. 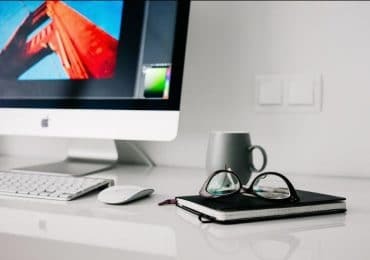 While for some, it’s simply not because of vanity but the need to have something that will result into that comfortable feeling while working in front of a computer – especially for those writers like me. Here are some of the photos we took unboxing Logitech Wireless Solar Keyboard K750. I do hope I was able to cover everything that there is to let you help decide whether you want to buy a wireless solar keyboard. The Logitech Wireless Solar Keyboard K750 is still available from Amazon, you can check it below.